I found this new grab bag by the tills in the branch of WH Smiths at the train station I commute to for work. They were actually on a very good offer, they were £1.25 per bag and on a buy one get one half price. The lady at the till proudly told me that this made them cheaper than the pound shops for grab bags of sweets/chocolates. I agreed with her, but given the prices of some of the single bars of chocolate or packets of crisps, I think you have to keep an eye on their price tags. More than the price what was exiting for me was the fact that this is a Kit Kat combined with peanut butter, which is my favourite combination. Unlike the Chunky Kit Kat version, these are small sticks loaded with peanut butter. 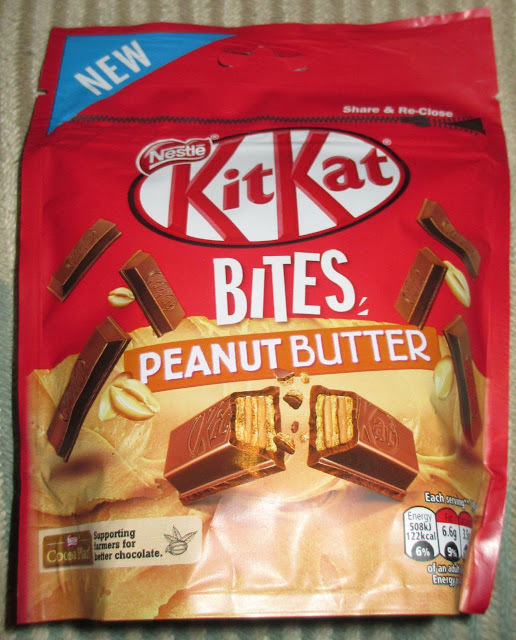 Inside the bag were quite a few Kit Kat Peanut Butter Bites, certainly enough to share, and they came in a resealable bag too, if you are after portion control. 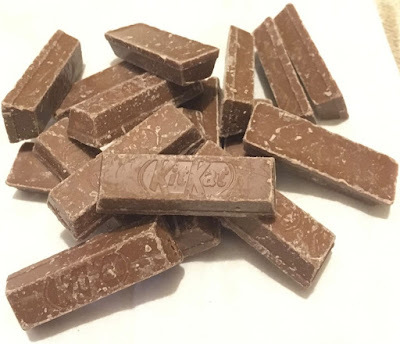 The Bites look like regular Kit Kat sticks, but smaller, shorter mainly. The chocolate sticks contain lots of wonderful peanut butter flavour. The flavour is sweet, salty, nutty, chocolatey and wonderfully varied. I love that mix of sweet and savoury and the variation in each bite just works so very well for me. The texture is much the same a regular Kit Kat, crunchy but not hard, and light because of the wafer. 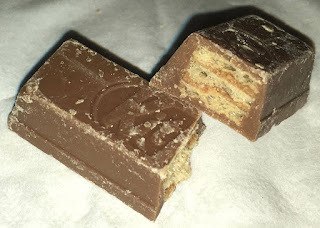 I loved these new Kit Kat Peanut Butter Bites, and really had to stop myself from eating the whole bag. Peanut butter and chocolate is a delight, and therefore I think these are my new favourite Kit Kat product.